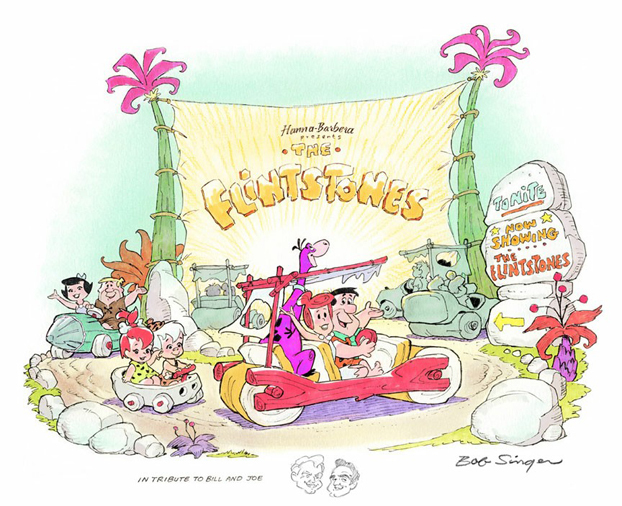 Drawn by longtime Hanna-Barbera Artist, Bob Singer, Hanna-Barbera Presents The Flintstones is inspired as a tribute to legendary animation producers Bill Hanna and Joe Barbera. Since 1960, The Flintstones are regarded as Hanna-Barbera’s finest and most revolutionary effort. Noted as the first family of animation, The Flintstones was a cartoon series produced not for the cinema but rather made exclusively for television. Each print is hand-signed by Bob Singer and is numbered.